Home Transfers Cudicini signs, but who takes over from Gomes? Cudicini signs, but who takes over from Gomes? Sidelined for almost the whole season in favour of Heurhelo Gomes, the 37 year-old veteran keeper has arguably gone beyond the call of duty when asked to stand in for Heurhelo Gomes for two brief periods during the season when the No. 1 was hit firstly with a match ban and then more recently was ruled out with a back injury. Highlights have included his impressive performance at home to Inter Milan, marked by a superb free-kick stop which kept us in the game, and his recent contribution at Eastlands in preventing a much more convincing defeat to Man City. Sadly, however, the very fact that pundits and fans alike have commended the consistency he has brought during his appearances between the sticks, despite his advancing years and relegated status, only speaks to the goalkeeping crisis that Spurs are currently experiencing. The recent errors of Mr. Gomes have made him a laughing stock in the press and lost him favour with fans, while possible second choice Stipe Pletikosa has stated his desire to return to Spartak Moscow. Cudicini has signed a new one-year contract, but his age will soon rule him out of contention as anything but a reliable reserve. So what options are left open for Spurs next season? Harry Redknapp himself has already gone on record stating he wants Gomes in net for next year; but I feel I speak for a large proportion of Spurs fans, when I say that recent games have left me craving consistency over the occasional brilliance the Brazilian has been able to bring over the years. Despite Harry’s claims, rumours abound of a return to PSV for our erratic keeper. In terms of replacements, Ben Foster has also been nominated as a potential candidate, while England teammate Robert Green will also presumably be available next season as West Ham crash out of the Premier League. Both of these possibilities seem a step in totally the wrong direction to me- in either case, why would Spurs risk everything once again on another keeper who can produce brilliant saves and grievous errors in equal measures? As much fuss has been made about Green’s mistake during last year’s World Cup, Foster’s abysmal fumble in the League Cup semi-final at West Ham was I feel equal cause for concern. Looking to the youth system, we also have an emerging contender in David Button, who has raised eyebrows on loan and at an under-21 level for his country. To hold over under the possible future star is a suitable age to make the first team, however, I now feel it is entirely on Redknapp to sign a new keeper in order to save Spurs from another season of goal-mouth mediocrity and heartbreak. Looking at the possibilities, Fiorentina keeper Sebastien Frey, sadly denied an international career with France by tough competition, will soon be up for a free transfer. Maarten Stekelenburg, the 28-year old Ajax keeper who has similarly been sidelined on the world stage for Van der Sar, is another name currently being discussed in fan circles, while experienced figures such as Everton’s Tim Howard could surely be tempted away from their current clubs at the right price. 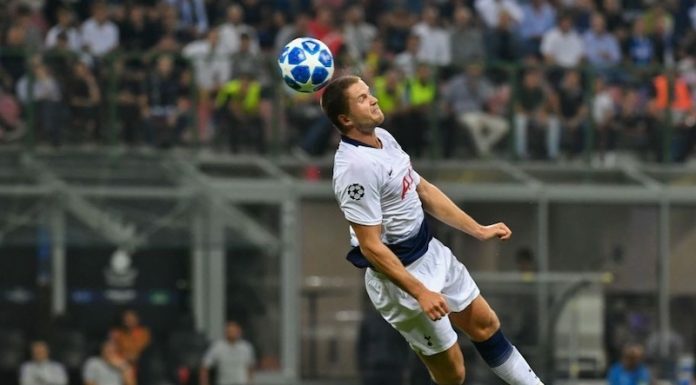 Though much of the transfer gossip has revolved around bringing in a new striker to solve the toothlessness Spurs have experienced this season in the face of goal, now seems like as good as any to tighten up at the back as well. It is time for Redknapp to open his chequebook and look to replace a No. 1 who has not stepped up to the challenge of helping his club to a higher position in the league this year. Never seen Button, so can not comment. With Carlo signing an extension maybe the number one slot is up for debate. I think it would be preferable to find a PL keeper to step straight in no settling or fuss. Difficult choice. Robinson anybody? Robinson? How many more former Spurs playewrs will we bring back? I’m not up for all this – unless I’m gonna see 20 again. Frey would be an upgrade and like you said, free transfer. I like Friedel but he is old and would be a temporary stop-gap. Button has been good and might be ready in two years. Could we get by with Friedel and Cudicini? Possibly, but it would be a risk for the future. I fear Stekelenburg will be too expensive. We may be in a position to choose between Green and Foster. I vote for Foster and hope the good Foster shows up all season. Not ideal but in my opinion, striker is a bigger need. Did you guys see the game against Twente in the Champions League?? Although they conceded 4 I thought the young Bulgarian Mihaylov was excellent. Thoughts?? Marteen Stekelenburg please! Has taken over from van der Saar as Dutch No1,having van der Vaart already at the club could also help,he played every game in the world cup- and plus he is world class which is what we need! Stekelenburg, Gomes and Cudicini should be our 3 keepers for next season!COYS! every year there were rumours, that spurs are interested in boruc, polish goalkeaper who spend a couple of years in celtic and now won competition with frey and hes the first choice in fiorentina. why should we get him ?